Have you finished your taxes yet? Don't put it off. 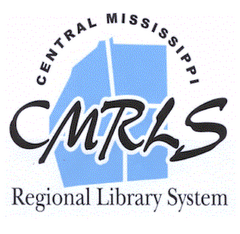 You can pick up copies of federal and state tax forms at the Flowood Library. We have a surplus of forms. Plenty to go around. It's been said that there are only two certainties in life: death and taxes. This statement is roughly attributed to Benjamin Franklin. I have a friend, a retired lieutenant colonel in the United States Army, who would probably disagree with this statement. In the place of "death and taxes" he would say that the two certainties in life are "alimony payments and child support" but that's another story. It used to be that tax forms could be picked up at the local post office. I don't know why this had to change and become the sole responsibility of the local library. Whatever the reason the library had to step up to this new challenge. The library has the responsibility of having tax forms available, so that our patrons can complete their taxes without having to go to the internet websites to retrieve them. Tax preparation can be done on computer, but some of our patrons prefer having the booklets and forms in hand. Using a computer can still be a challenge for a lot of people. As for myself I do my taxes the old fashioned way. I shake my head, crack my knuckles, and put my mind in tax mode. I can see why taxes can be "taxing" on the mind. There's a lot that goes into it. Everything has to be laid out on a table. I have to have peace and quiet and no distractions. I thought the government promised to make these forms less confusing. Of course, if they did that, then we wouldn't need accountants. Some of our patrons would rather not print their forms off of the computer. I can understand that. However, some forms are special, so printing them off the computer is often necessary. The library is required to charge .20 cents per page for every copy printed. So, to avoid the task of printing off the computer, our library system makes every attempt to ensure these tax forms are ordered and available to the patrons when they are needed. We are not always successful at getting the federal forms in a timely manner, but we are improving. I know some of our patrons might want help completing their taxes, but I will have to refer that to your local accountant. Not all of us are tax experts. We're not allowed to view your personal information. We must respect your privacy. April 15, 2019 is rapidly approaching. If you want to work on your taxes on Sunday, please keep in mind that the library is closed on Sundays. Also remember that we no longer have 1040EZ or 1040A forms and booklets in the tax system. We only have 1040s. We have 1040s in surplus. I preferred the 1040EZ. It was something I could understand. Hay Caramba! I owe the State of Mississippi $3.00. Ouch!